In mid-July we were delighted to be joined by A Level student Sarah Rawoo for a week’s work experience. 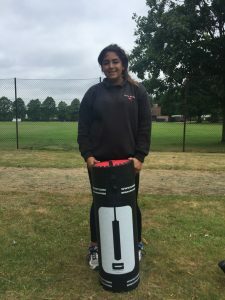 Sarah, who is 17 and studying at Rosebery School for Girls, is a very keen cricketer and coach. 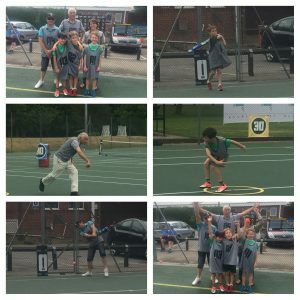 During the week, Sarah got actively involved in a variety of Cage Cricket deliveries including an Over 50’s session in Epsom, games with children and supporters at the Surrey Schools Games (including 3 generations of the same family) and at a Youth Festival of Sport in Camberley. Additionally, Sarah attended our meetings with Wheelpower at Stoke Mandeville Stadium, Farnham Leisure Centre and Right at Home about establishing regular Dementia Friendly sessions and with a charity FUZE and Woking Borough Council around providing Cage Cricket for vulnerable refugees living in the town. 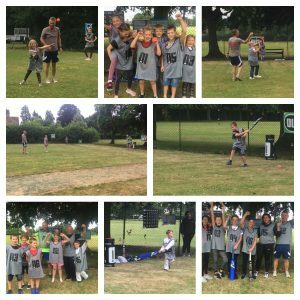 Sarah worked really hard and was able to offer a fresh perspective on Cage Cricket and its benefits. We will certainly welcome her back at any time in the future.